Understanding the varying needs and demands of our respected customers, we are active in offering Brass Terminal. Brass Terminal Brass Terminals are used mostly in Metering Industries. We offer an extensive range of brass Terminals for wiring at very competitive price. 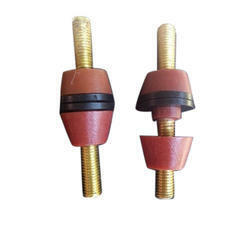 Various types of Brass Connectors, Terminals are manufactured by us in Round, Square, and Rectangular & Section shapes. Brass female terminal 1.5 sq mm oc closed. available in chain form / loose form. Brass earth neutral bars neutral links earthing blocks terminal blocks available in all sizes as per customer specification. Brass neutral bars terminals terminal blocks and links up to 1 Metre also available.4 way and 8 way tin plated Nickel plated earth neutral bars for panel boards available.